Robert Kelly has answered all your questions about life after going viral. 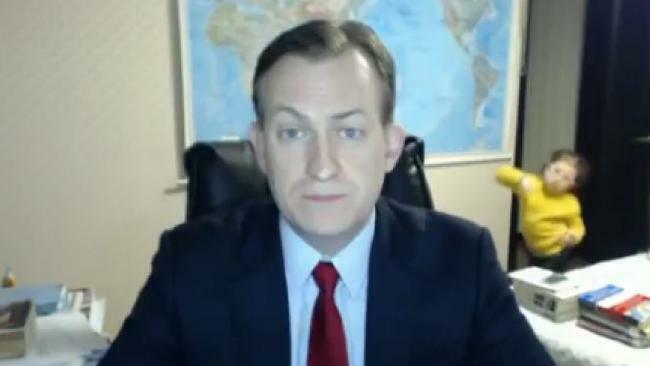 YOU will no doubt remember the viral video of the BBC expert whose kids stole the show during a live Skype interview. Professor Robert Kelly was being interviewed live about the impeachment of South Korean president Park Geun-hye, when his children burst in behind him to ... well, just make themselves known. 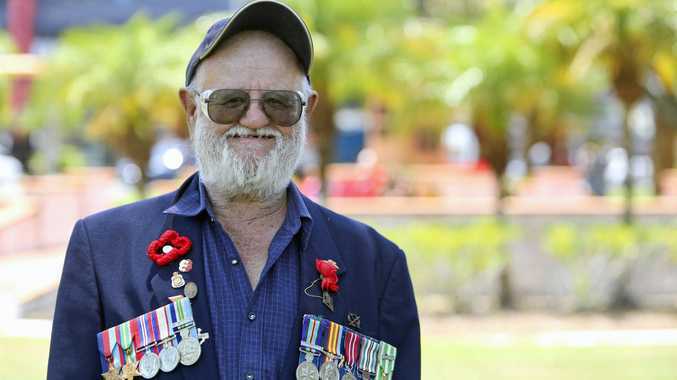 The family became a viral sensation, and to this day, Mr Kelly says he's had a police officer stop him for a selfie, been photographed in supermarkets and even upped his professional profile. Writing in The Inquirier, Mr Kelly has answered all your burning questions about what it's like to go viral. "This seems like a banal observation, but it can be pretty weird when people regularly photograph you out and about, often without asking, simply because they saw you on television," he said. "I was photographed buying milk at Costco once, because apparently BBC Dad's calcium consumption is a hot issue." With Korea's intense celebrity culture, he says he is recognised everywhere he goes - even in planes and at the cinema. "Total strangers routinely ask us for pictures or autographs, or just photograph us anyway. A cop in South Korea once pulled me over to ask for a selfie. A couple in Brooklyn got so enthralled by the video that they tried to build a YouTube cartoon series around it." Mr Kelly also said it boosted his profile as a commentator. He's now approached more frequently for his opinion on Korean politics, with requests coming from around the globe - from the Philippines and China to the Middle East. The dad also said thousands of parents told him they saw themselves in the video. "Many of the comments we received were from parents who had had similar experiences, such as locking themselves in the bathroom so their kids could not interrupt a radio interview," he writes. "These reactions were positive and empathetic. We were very moved by them." But it's not all positive. Mr Kelly said one of the very first messages he received was from a neo-Nazi troll calling him a "race traitor" because his wife, Jung-a Kim, is Korean. He also acknowledged the controversy that emerged over whether his wife was the family nanny, but said they weren't really put out by this. "We personally see no ideological content in the video," he says. "The episode was just a family blooper." Oh, and he also refuted one of the most popular claims - that he wasn't wearing pants. This bore out of the fact Mr Kelly did not stand up when his children interrupted the broadcast. "Yes, I was wearing pants," he writes. "I did not stand up because, as they say, the show must go on. Had I stood up and broken out of frame, any semblance of professionalism would have been lost. I was hoping throughout the 45-second interruption that the BBC correspondent, James Menendez, would simply end the interview and I would be saved. "Hence, I held my seat." The video may be a year old, but it still never fails to make us smile. Stay hilarious, BBC Dad.